People ask me a lot about how I get to squeeze out so much from each single day and I'm constantly having something interesting to do. 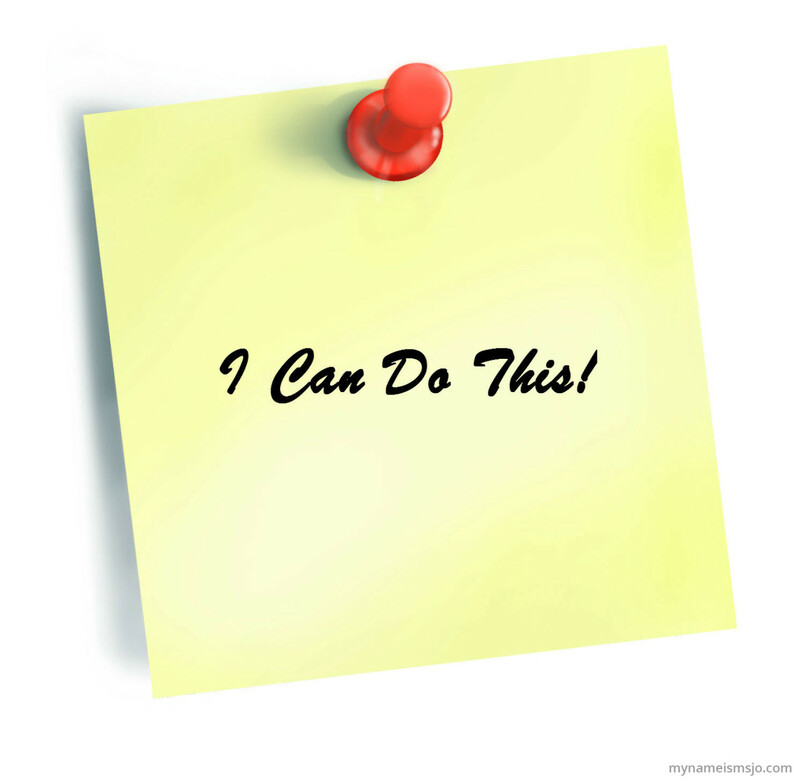 In short, how do I motivate myself to do so much? First, I think part of it is genetic for me. We are workaholics in my family -- my dad, my mum and my siblings. I guess even if you had me locked up in an empty room I would still manage to get extremely busy. The other part is the one I can explain and hope it be of benefit to someone. I don't spread myself too thin. To help make what I am saying clear I'll give you a contrast. I know people who are active and leaders in different units/departments at church, then hold positions in their community/estate association, also active members of two or more social communities (Rotaract, this club, that club). Plus they have families too. I sometimes envy them because I consider them superhuman. The only issue is that we all have same 24 hours a day. And because I don't have any superhuman duty to do and I am hidden in my geeky corner pouring myself into the few things I have committed myself to, I get to crank out more creative work. That's how I can write daily. Develop myself to have the skills I need to kickstart my enterprise software business. Write and publish books. Learn new interesting things. Engage in IoT projects. I am excellent at filtering out distractions. Sometimes, it amazes people how easily I switch off. You can be talking to me now and I am off, already in another realm in my mind. This happens a lot when I am having a mentally challenging project I am working on. Even in my sleep, I dream about it. Every idle moment I get, my mind drifts of itself into auto-mode to pick up from wherever I stopped with project. It makes me a terrible conservationist. Imagine talking to someone who's suddenly turned to a statue and not hearing all you are saying. But the advantage is that it keeps me engaged longer than most people in whatever task I have given myself. I am also able to work on it both in my conscious moments and sub-conscious moments, and get more/faster results than someone else who works on it in his conscious moments. Perhaps, the biggest advantage of this is that I don't experience the mental fatigue that comes from going back to a difficult task after some time off. 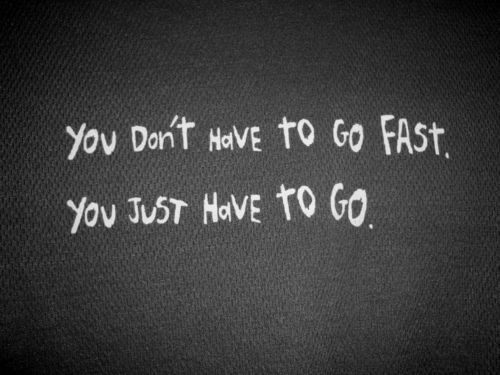 Switching cost; the mental work of getting yourself back into the high performance mode to tackle the difficult work. Why? I am constantly in that high performance mode. I don't ever switch off from the task at hand. I can hibernate or sleep, but the moment I wake it's instant pick up from where I stopped. I am terrible at giving up. Its both a good thing and a bad thing. People try to take advantage of it in me. Just hand the stuff over to Michael and you can go sleep/party. So I, in turn, avoid those people. But the good side is that it helps me see things/projects through. I am able to execute all my major ideas. And as they say -- success begets success. 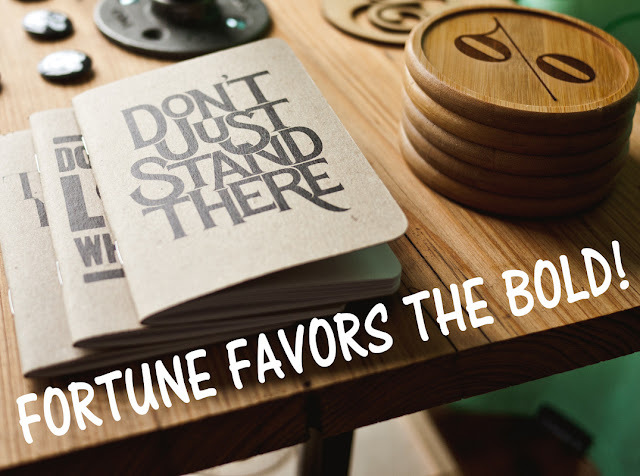 Little successes motivate you to more successes and form the foundation of bigger successes. Finally, I don't complain or worry about what people think/say. Maybe, I am too egocentric or individualistic. But I it helps me avoid negative emotion and thoughts. I am happy with the progress I am making. Yesternight, I completed my iTunes Gift Card sales web app. 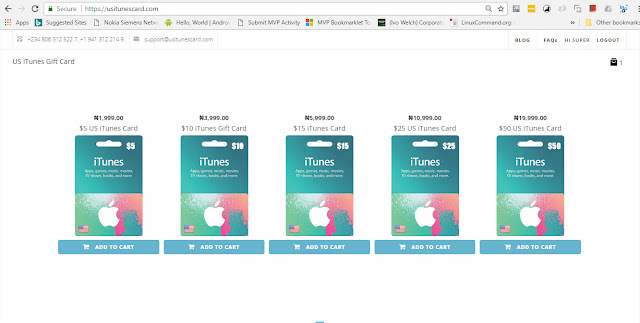 I am taking out the manual processes I undertake in selling iTunes Gift Card. Previously, a typical sales transaction will involve someone calling me on phone for the purchase of an iTunes gift card. I confirm if the one they want is available or not. Then I email them the scanned copy of the Gift Card. They load it and pay. It worked well for close to a year. But then it was beginning to interrupt my core business. I would get calls at all times of the day, especially late nights. Then the money collection hasn't been very smooth with a few people still owing me. Now I am waving goodbye to all those challenges. 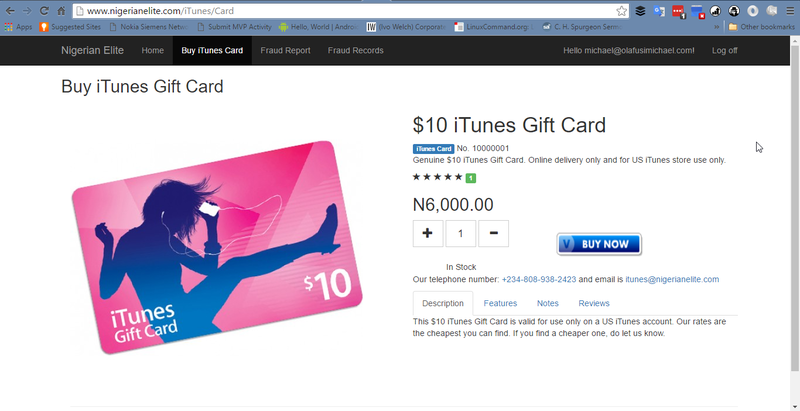 Via www.usitunescard.com and http://www.nigerianelite.com/iTunes/Card anyone can purchase the iTunes Gift Card. They get the peace of mind that is difficult when they've got to call me out of the blue and we spend the first minute establishing trust. Also, it makes it easier for them to see the price upfront, order, have a record of their transaction and get peace of mind. Next on my web application idea list is a Nigerian World Clock. A one stop place for you to see the time difference between all the major cities/countries in the world and Nigeria. Plus it will show current time in Nigeria and those other cities/countries. Again the iTunes Gift card sales site is www.usitunescard.com Best rate you can get and instant delivery! It is time for you to dig out those fraudulent SMSs you've received, those fraudulent emails you've received, details of those fraudulent phone calls you've received, details of people who charged you for a service and didn't deliver, details of people who bought your products/service on credit and ran off, details of people who tried to scam you. Make a report about each fraud event/attempt. This is the beginning of something new and useful. I am already gathering mine and will report them -- the fake Arik Air HR guy who scammed two people through me, the fraudulent Poropo Kukurakey guy who bought iTunes gift card from me and ran away with my money, the fake job messages my younger sister received, and so many others. It will help people see the patterns fraudsters use, identify some of them, avoid falling for the same scams others have fallen for and our ultimate goal of turning the authorities on the serial fraudsters. Imagine what help it would be for EFCC and Police when they are provided with evidence from hundreds, even thousands, of people scammed by the same fraudster. Be a part of this, don't let fraudsters keep taking us for granted. Let's shine light on their ugly tactics and spoil market for them. Tell you family and friends about this. Let's make Nigeria safe again! This second half of the year is starting more as a learning period for me. 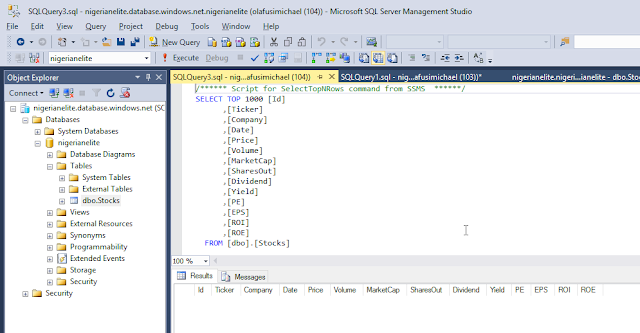 I have turbo driven my C# and web app development learning. I am currently learning and practicing Python for automating tasks and as Django for web app development. 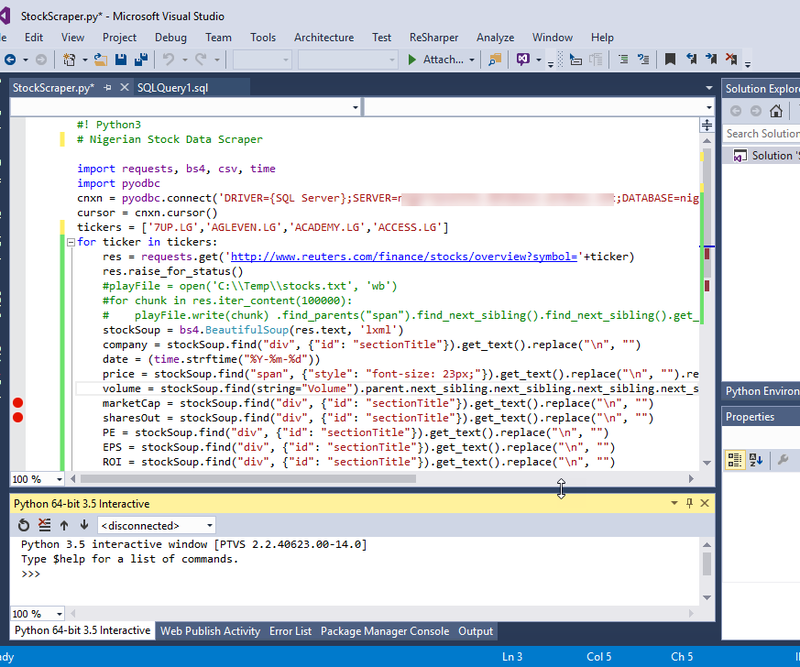 I plan to use Python to create web scraping scripts that will daily gather the share prices of the companies listed on the Nigerian Stock Exchange. I have managed to do some relevant practice and now have the requisite theoretical knowledge to create the Python scripts required. 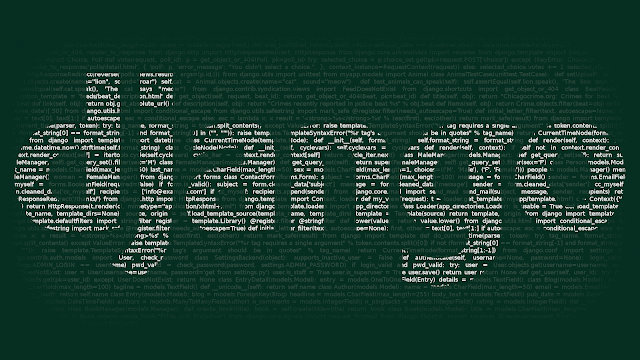 The Django I am currently learning and will end up spending today to complete my online training course on is to learn more about Python for web applications and possible use in building the IoT applications I have been dreaming about. I plan to set up an always connected, to internet, Raspberry Pi, have it do some interesting things and connect to a cloud database. I heard Python might be a much better and easier ways to build IoT projects with Raspberry Pi. So I'll give it a try. I am already past the fundamentals part of my C# learning for web app development. Now I am focusing more on practicing by building the app ideas I have written down over the last two years. Why am I doing all these intense learning? I have looked into the future and I see only benefits, especially of the commercial and financial type, to knowing all these things. The Nigerian market is lacking many basic applications that do helpful things. The reason is that the current entrepreneurs are mostly not technical people and only see non-technical market needs. Also, the people with the technical skills are not bold enough to strike out on their own, they are tied to the slow ships of the companies run by the non-technical people. I have run some tests. I have done my market validation and testing. The market is ready, the delay is with people like me who can create the solutions they need. So for me, there is no end to the opportunistic activities and financial benefits to reap if I put in the time and dedication. This is the second post in the Financial Modelling series. 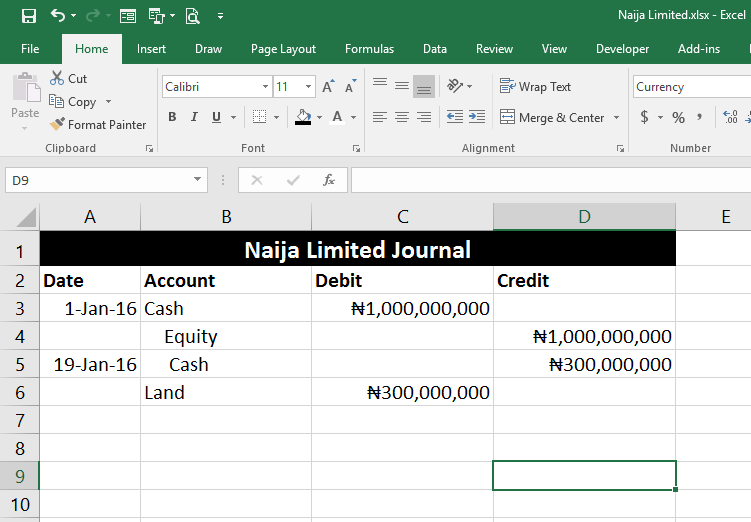 In the previous post, I talked about Accounting Equation, Journal, T-Account, Ledger And Trial Balance. The very things that form the foundation of any company's financial records. 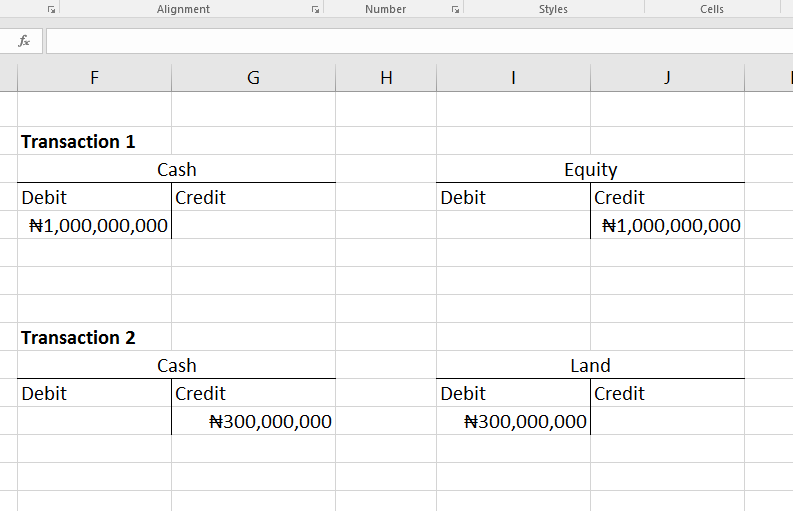 And today, I will be continuing by talking about the most important reports in Financial Modelling: the Income Statement, Balance Sheet and Cash Flow Statement. Together they show in details all that is happening financially in a company. When evaluated over the past years they shed light on management strategy and performance. 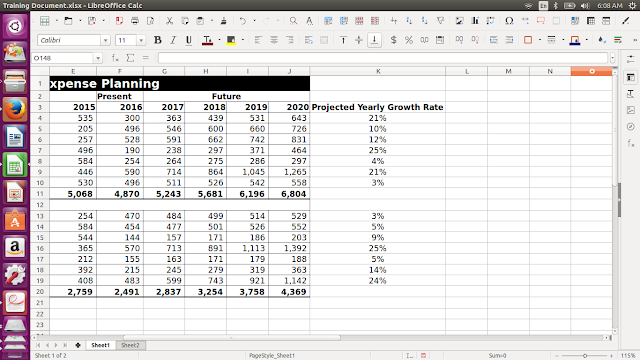 When projected into the future, they show what the company is worth. And these are the entirety of what Financial Modelling is about. The Income Statement is a record of the company's revenue and expenses over a specified period, usually a year, half year or a quarter. And for Financial Modelling, you will be concerned more about the year one. The Balance Sheet is the record of the company's Assets, Liabilities and Equity at a particular point in time. So you'll usually see it written as Balance Sheet as at 31 December 2015. The Cash Flow Statement is the record of cash inflow and cash outflow of a company within a specified period. Again, for Financial Modelling we care more about one year period. 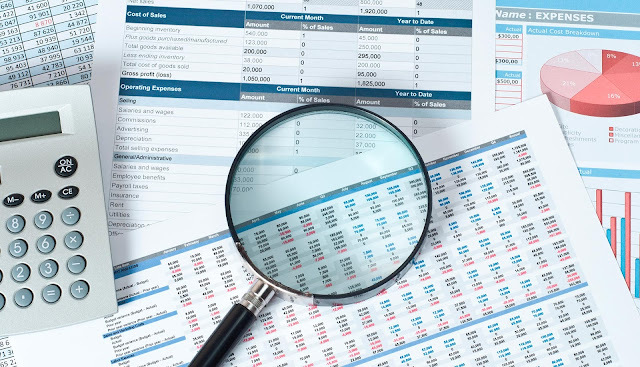 If you looked at the screenshots of the Income Statement, Balance Sheet and Cash Flow Statement I inserted above, you will notice that they look different slightly from how companies outline theirs in their annual reports. It's deliberate and the usual case for all financial modelers. Mine are standardized to work for all companies (regardless of their industry) and optimized for forecasting (which is an important piece of Financial Modelling). 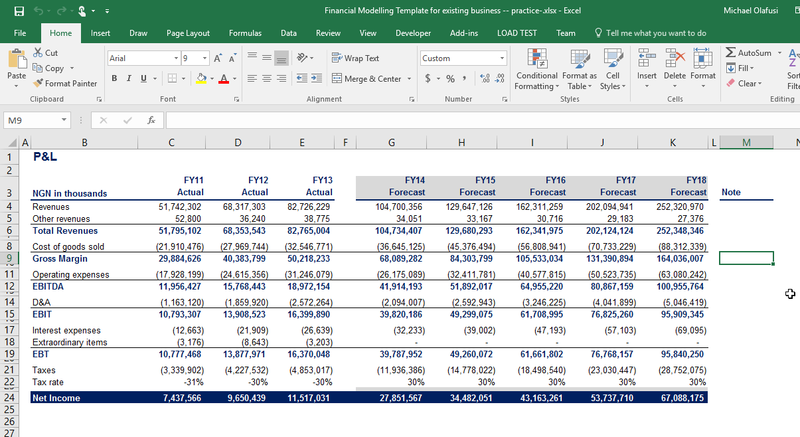 In fact, the very one I posted above is what I use in teaching DCF Financial Model. DCF stands for discounted cash flow. That is why I have a line called UFCF (unlevered free cash flow) in the Cash Flow Statement. Again, don't worry about the words you don't understand now. I will explain them in-depth in the future posts. Gradually, I am starting to progress beyond taking classes on web application development to practicing what I have been learning and building something useful for me and everyone. My first web application will be a Fraud Report application which I will later make into a phone application. It will allow you to report any fraud attempt you are at the receiving end of. Well, doesn't make sense to report the ones you are at the perpetrating end of. You don't want to be like the guy recently in the news who stole a phone and uploaded a selfie to the phone owner's Instagram account. I am sure you don't scam or defraud people so you'll benefit positively from this application. The idea is that rather than putting all the work of preventing scam/fraud on the people at the receiving end, this will be an avenue to report people trying to defraud you and then we can pass the details to the right authorities. Even if it is a very small fraction of the fraudsters that are caught, this will still achieve its aim of letting fraudsters know that their is a platform dedicated to actively pursuing them. And more importantly are the tech-using fraudsters. The ones sending fraudulent job SMS, fraudulent bank emails and fraudulent chat messages. I personally will help dig out the details of those behind the fraudulent bank emails, using my knowledge of ethical hacking. And I am sure there are other people better than me who will be glad to help out too. That way we can expose them and at least make them fear that their virtual immunity is gone. Our authorities are too low level and not tech savvy enough to pursue most of them. We can and yes, we should, and then hand them over to EFCC to finish off. When those lazy criminally minded people know that they can be outsmarted, pursued and caught, and by a community larger than the police or government authorities; they will go back to legitimate hustling like the rest of us. And the very young and very old who most fall victim to their scams can now take delight in reporting and watching them caught. 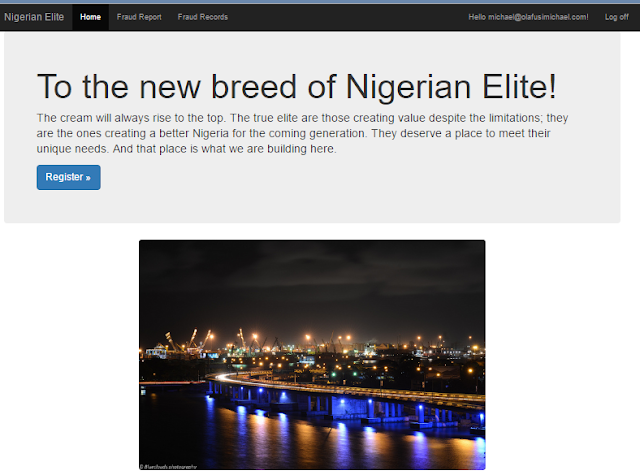 You can access the web application and monitor my progress at www.nigerianelite.com I am still building the backend, so the appearance isn't great for now. Skeleton first before skin, that's how applications are typically built. Please do let me know your suggestions and feedback. Thanks! 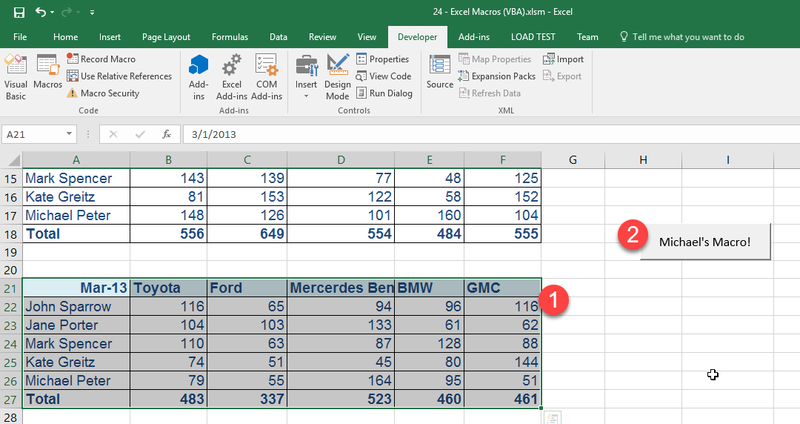 If you have got a recurrent report you make in Excel that follows the same steps, uses the same input type and the final report has a non-changing standard structure, then Excel Macros should be your friend. With Macros you can automate the report making steps so that every time you need to make the report, you simple provide the new input data, run the Macro and you'll have in seconds the output that probably used to take you hours to make. The best part is that Excel Macros aren't that hard to make. 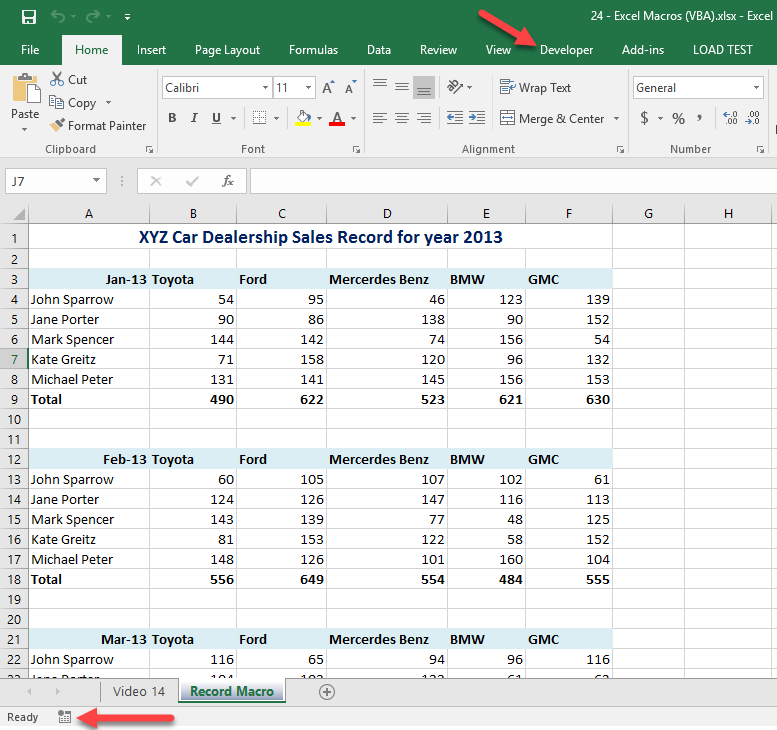 Just like Excel, every level of user can make some productive use of it -- be you a beginner, intermediate or advanced Excel user. 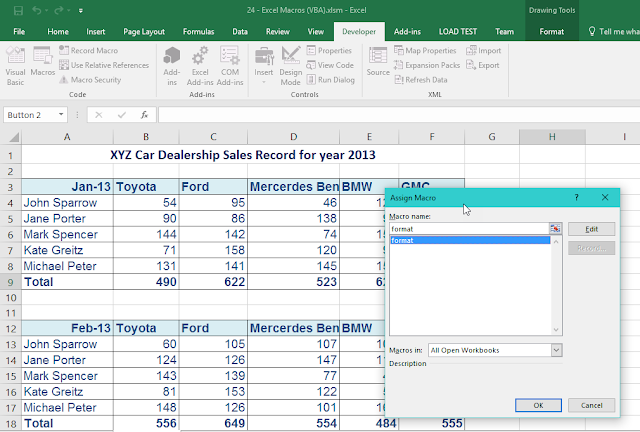 Also, it is with use of it that you become more proficient and maybe become like me, making money from building Excel Macros for companies. Today I will be taking you through a practical example that will start you on your journey to harnessing the power of Excel Macros. 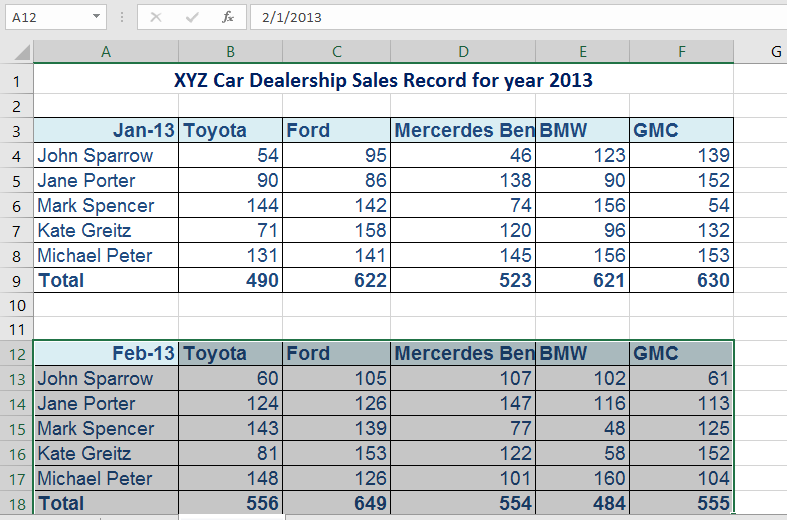 To make the example sink well, let's assume you work for a car dealership and you are in charge of sales analysis. The company is obsessed about branding. They've got the office built to reflect the company brand, the security men even wear uniforms that are the company's corporate colour. The part that worries you though is that all reports are meant to have a particular company style format. Font 12, Arial, Dark Blue and All Borders. That's the style format. 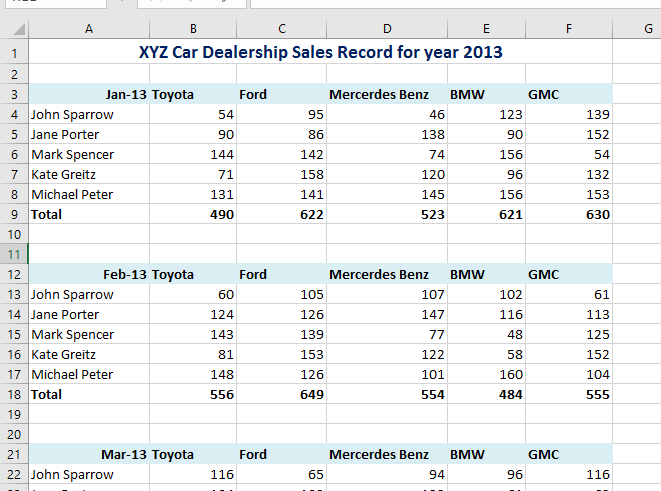 There are many ways, in the practical world, to automatically apply those formats to your monthly sales report -- from creating custom styles to using copy paste formats. But today we will use Excel Macros. 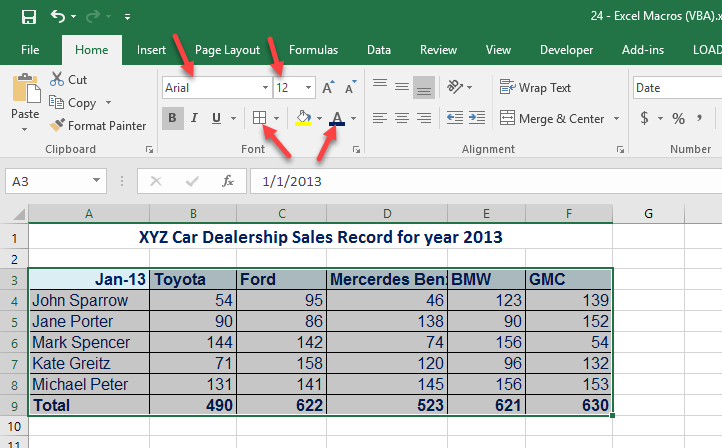 It is a perfect example to introduce Excel Macros without boring you will tedious irrelevant work. So here is the table of the entire year's report. 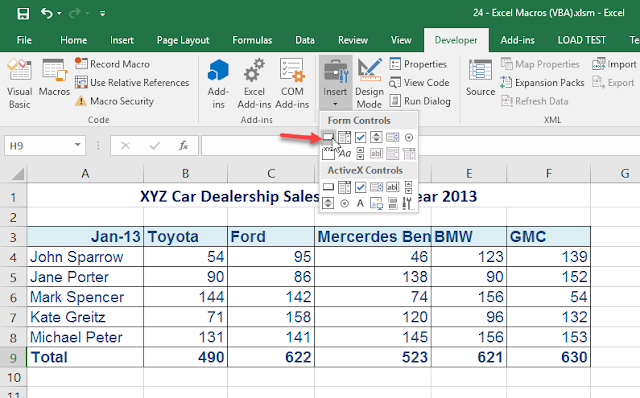 You will now use Excel Macro to store the formatting process and apply them whenever you want at the click of a button or keyboard shortcut. First, you need to enable Developer menu. Go to File, Options, Customize Ribbon and tick Developer in the middle right of the dialog box you get. Click on OK.
Now you have all the tools needed. You will be able to see a record macro button at the bottom left of your Excel and a Developer tab on your menu bar. Next step is to have a Macro created for the steps we do to apply the company standard format. Select the January's data, we will use Macro Recording to store our steps. Click on the record button at the bottom left. Now your steps are being recorded. 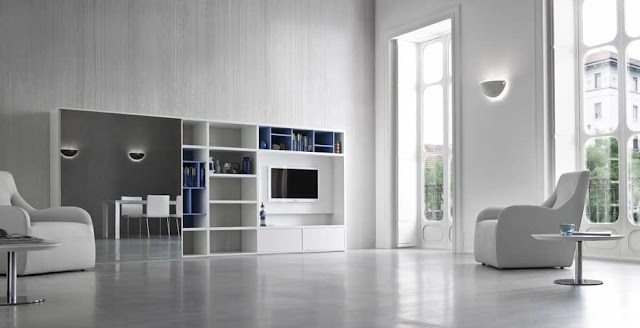 Apply the company format style of Font size 12, Font type Arial, Font color deep blue and all borders. Click on the Stop Macro record button. same button you clicked on to start the macro recording. Let's test for another month -- February. 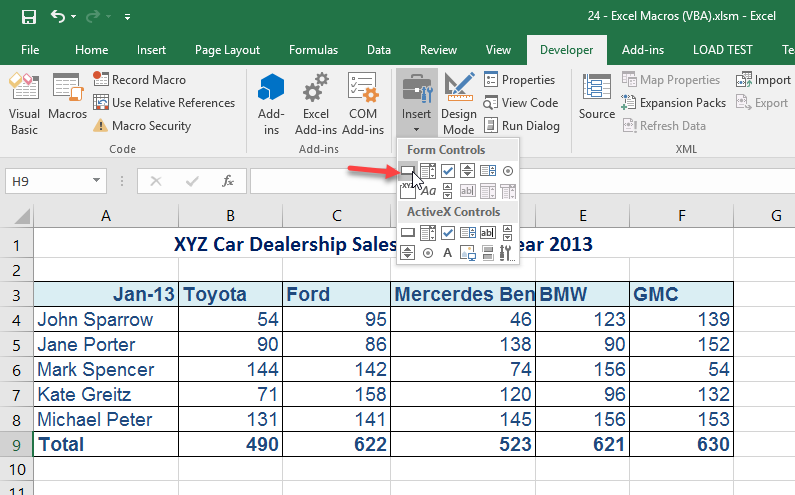 Select February's table and do CTRL + m. If you followed my steps correctly you will see Excel automatically repeat all your steps and apply the company format to the February table. Congrats! Now you've created a Macro. You now understand the process. Next is to use the same concept/steps to create one more relevant to you. 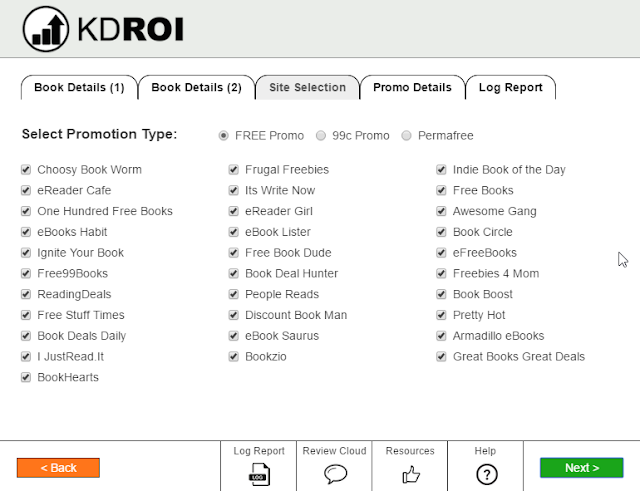 Automate those repetitive tasks you do. If I had a more complex task, it would have recorded it too and repeated my steps whenever I called on it. Finally, let's tie the Macro to a button. Click on the Developer tab, Insert and choose button under the Form Control section. 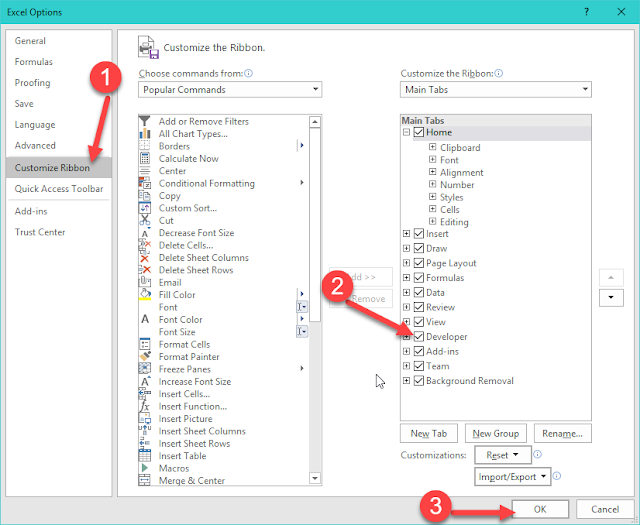 Draw a rectangle, in the dialog box that will pop up, select the macro you created and attach it to the button by clicking on OK.
Give the Macro button a name. 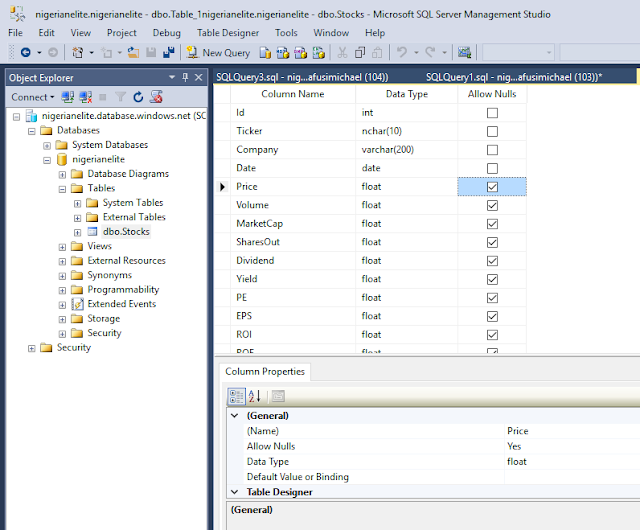 And now test it by selecting March table, then click on the Macro button to watch it apply the company format to March table. 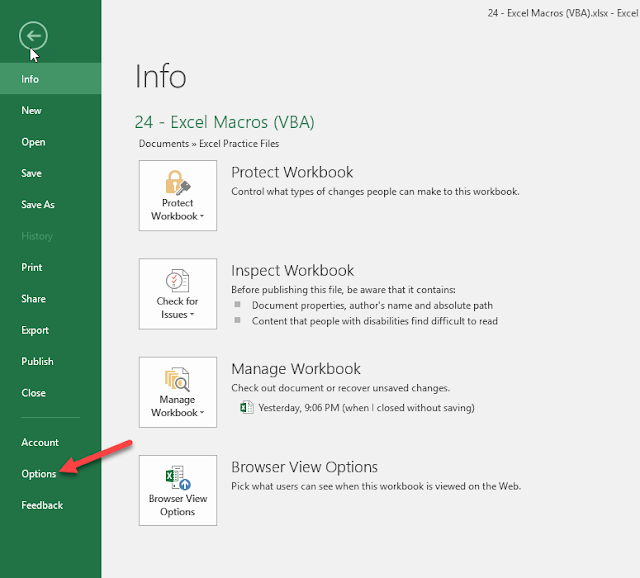 Finally, save your Excel file as a Macro enabled workbook. Congrats on your new Macro! 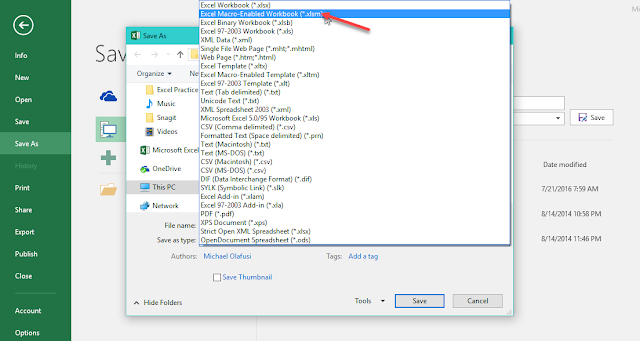 I have been having some trouble accessing my documents in my previous laptop hard disk which I swapped out on Monday in favour of the much faster Solid State Drive. Windows would not let me access the files or even copy them out, it keeps giving an access is denied error due to file permission security settings from my previous Windows OS. I have tried to regain permission, changed ownership, used Command Prompt and even PowerShell. I only had some luck with PowerShell. It was able to get out some of my files before failing to work anymore (used the xcopy DOS command). So I had to go back to the only tested and trusted solution I learned eight years ago -- Linux Live booting. I downloaded Ubuntu desktop Linux, created a bootable USB from it and booted into Ubuntu without installing. It brought back pleasant memories. 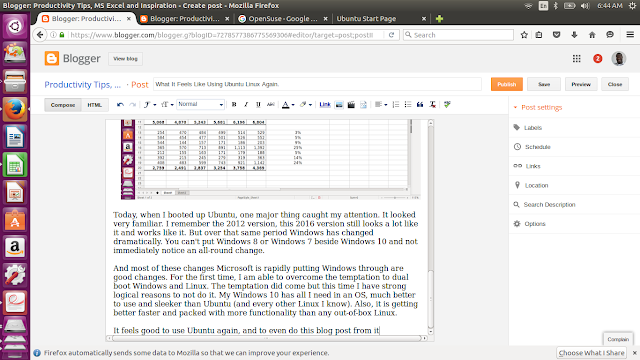 All the terrific (both good and bad) adventures I have had using Linux. The years I had five or six operating systems installed side by side on my PC. Usually three or four different Linux flavours and two different Windows versions. 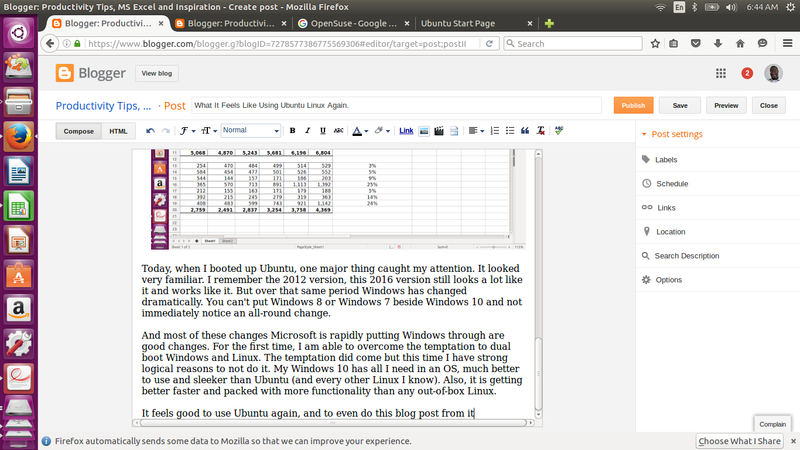 Ubuntu has been my easiest to use Linux while Fedora has been the most painful to use for me. In between are Kubuntu, OpenSUSE and Mandriva. Today, when I booted up Ubuntu, one major thing caught my attention. It looked very familiar. I remember the 2012 version, this 2016 version still looks a lot like it and works like it. But over that same period Windows has changed dramatically. You can't put Windows 8 or Windows 7 beside Windows 10 and not immediately notice an all-round change. And most of these changes Microsoft is rapidly putting Windows through are good changes. For the first time, I am able to overcome the temptation to dual boot Windows and Linux. The temptation did come but this time I have strong logical reasons to not do it. My Windows 10 has all I need in an OS, much better to use and sleeker than Ubuntu (and every other Linux I know). Also, it is getting better faster and packed with more functionality than any out-of-box Linux. It feels good to use Ubuntu again, and to even do this blog post from it, but Windows 10 is now much cooler. I am almost done with copying out my files from my old hard disk, once that is done I will bid another farewell to Ubuntu till an unknown time and get sucked back into the now exciting world of Windows 10. 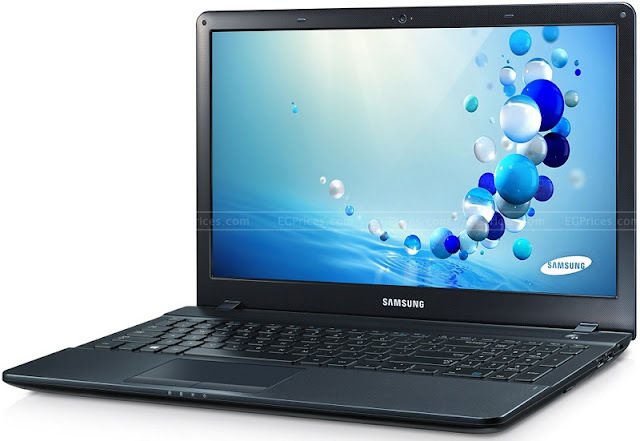 So I have decided not to buy the Toshiba Satellite S55T C5327 but to give a new life to my current (work) laptop, Samsung Activ Book. Yesterday, I bought an 800GB SSD (solid state drive), an extra battery, an extra charger and a shiny new front casing. Now it boots in seconds. 5 seconds when we installed Windows 8.1. Then about 13 seconds when I installed Windows 10 and my work software. Everything works fast and the laptop feels and looks new. I am now more motivated to work, to create more training tutorial videos, to practice more Visual Studio programming exercises that used to be painfully slow. I no longer dread shutting down or restarting the laptop, as that now happens in seconds and not the half an hour it used to be. I am sure the increased comfort and performance the N92,000 I spent to give it this new life will pay for itself in a short time as my productivity rises. Plus now, it feels really cool to work on the laptop. All left is to avoid any hardware damage to it and pray against theft. Welcome to my blog post series on financial modelling. Nearly every month I get requests about teaching financial modelling. It is a very interesting field but some of the people who teach it do it in ways too abstract for anyone to make any value of. They start from the middle, expecting the participants to already know the basics, and then proceed to use non-Nigeria relevant examples. The usual result is that the participants leave with more questions than they had before the training, and some plainly give up about understanding financial modelling. I have set out to amend this. I enjoy finance and all things related to it, including financial modelling. It is one of the fields of knowledge that has everyday practical application and can be easily explained using illustrations from our everyday personal and business experience. I will be using my usual teaching style -- going from basics to advanced using easy to understand Nigeria relevant case studies. 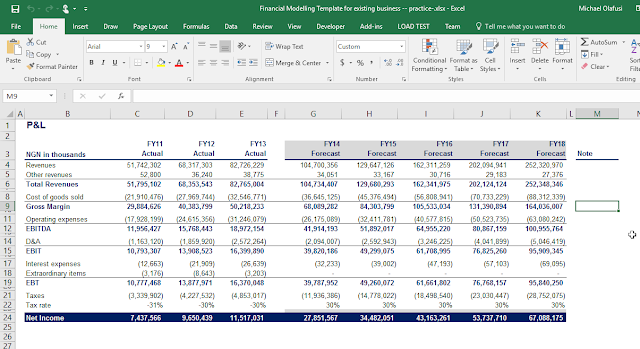 Financial modelling is the representation of a company's financial position and enterprise value using series of flexible calculations built on sound financial knowledge. So to begin, we need to establish, first, that sound financial knowledge every aspiring financial modelling guru most have. Every company's core activities generate financial transactions -- even government organizations and non-profit organizations. So at the end of the year a large part of evaluating performance involves creating financial statements. And these financial statements are created from records of financial transactions the company engaged in throughout the year being evaluated. Records of what expenses were made, money that came in from sales, money that came in from investors, money that came in from loans taken, and all the other financial activities the company engaged in. 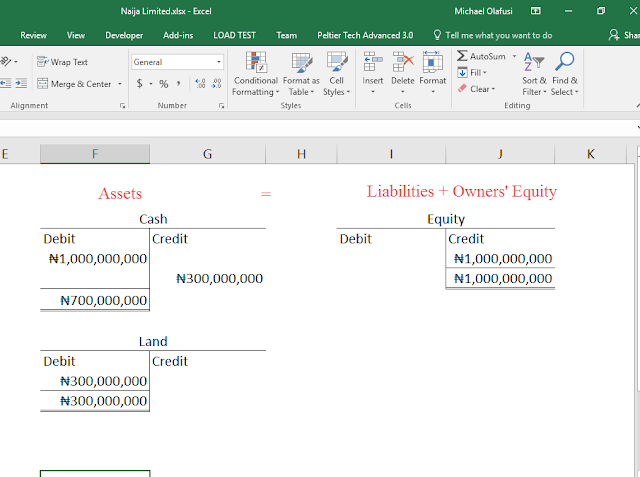 The principle that underline the recording of those financial transactions is called the accounting equation and it states that Assets = Liabilities and Owner's Equity. Every financial transaction will cause a change on the Asset side and a balancing change on the Liabilities or Equity side. For illustration, say we all come together to form a new company called Naija Limited. If we put put together N1 billion to kickstart the company's operations. That means we have increased asset (Cash) by N1 billion and have Equity of N1 billion. Then we decided to, from the N1 billion, acquire a N300 million land in Lekki Free Trade Zone for our business operations. We have reduced cash asset by N300 million and acquired Land asset of N300 million. So we have just shuffled our assets from purely Cash to now include Land. This points us to another important detail: each element of our accounting equation has both the plus side and minus side. This is what is called Debit and Credit. For Assets, the plus side is the Debit and the minus side is the Credit. For Liability and Equity, the plus side is the Credit and the minus side is the Debit. All these transactions are recorded in a Journal. It is a dated record of financial transactions with debit and credit side. If you have just one for all your company transactions then it would be a general journal, but if you have one for every major transaction type like Cash Receipts, Sales and Purchase, then it would be named after that transaction type (Sales Journal e.t.c.) . So an accountant or bookkeeper could record all those Naija Limited transactions in a General Journal. T-Account is a visual representation of the debit and credit side of an account. It is called T-Account because of the T shape. Usually, you would have one T-Account for each account type, So Cash T-Account would not be drawn more than once. 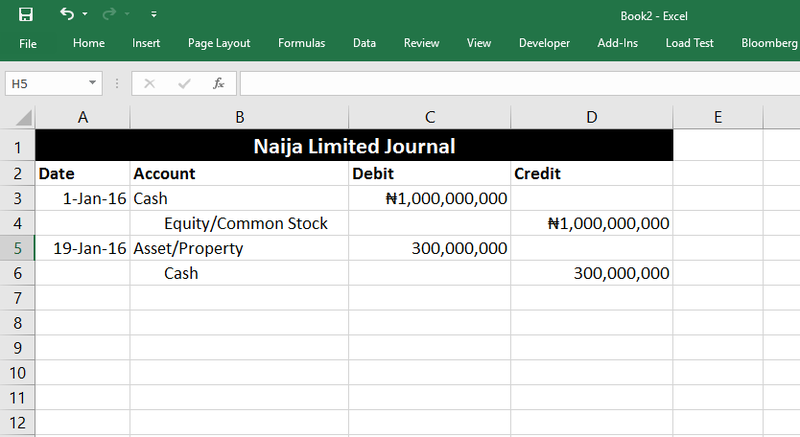 A ledger is the totaled record of transactions, unlike journal it is not dated and shows final value till date (updated). At the end of an accounting period (a year or quarter, could be anything), you will have T-Accounts that have captured all the financial transactions in that period. 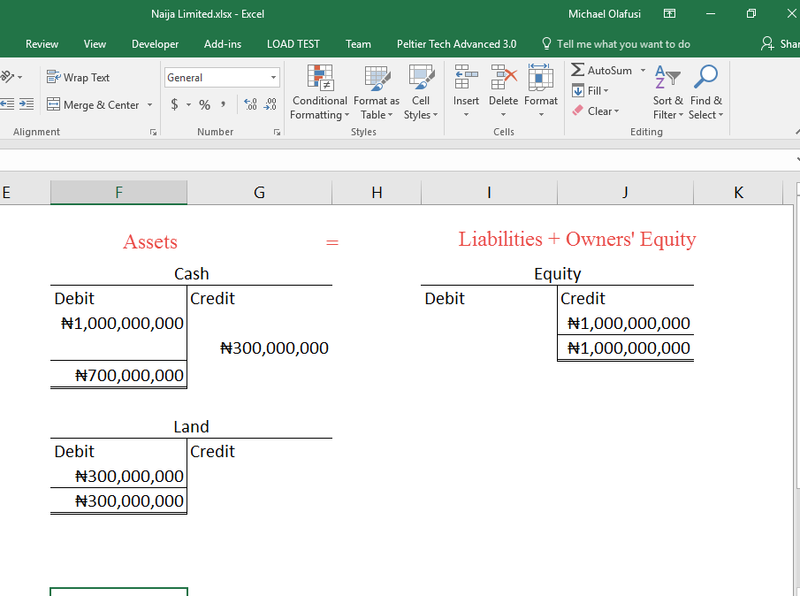 Arranging them such that Assets are on the left, arranged vertically while Liabilities and Equity are on the right is called a General Ledger. You can also have them arranged like a journal, rather than the T-Account type. Assets are debit totalled, a.k.a debit-balanced. While Liabilities and Equities are credit totalled. a.k.a. credit balanced. 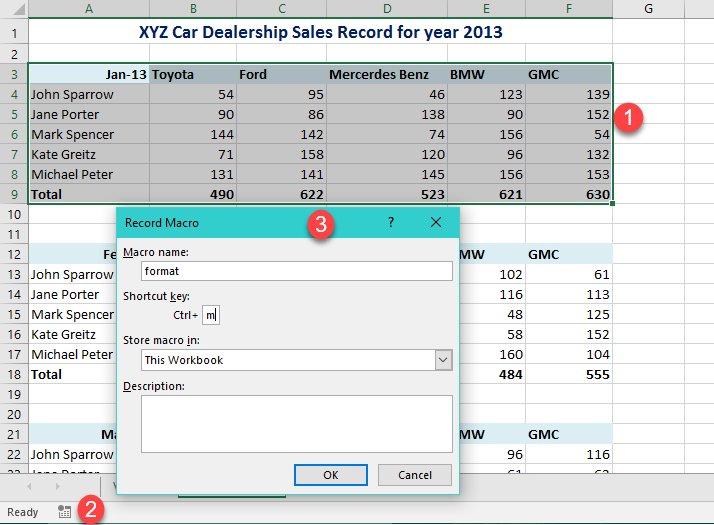 You'll get to hear other Ledger types -- Sales Ledger, Purchase Ledger e.t.c. They are essentially totaled record of transactions for that transaction type -- Sales transaction, Purchase transactions. But in dealing with a company's entire financials the one to focus attention on is the General Ledger. 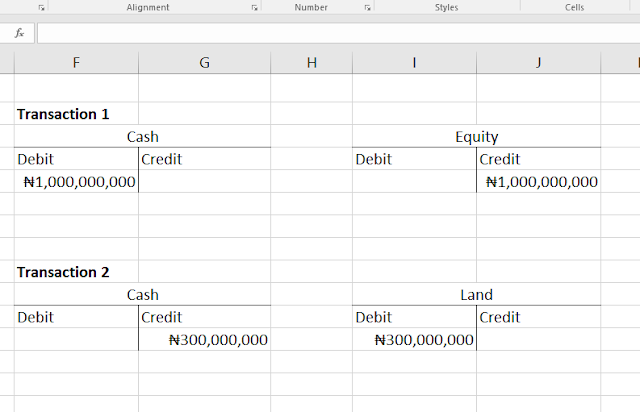 It is not uncommon for companies to allocate numbers to the different accounts and have all assets start with digit 1, liabilities start with digit 2, capital (part of equity) start with digit 3, income/revenue start with digit 4 and expenses start with digit 5. 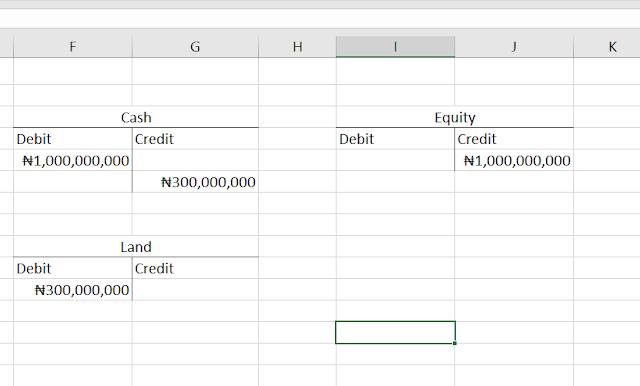 This is called chart of accounts. The trial balance is then used to build up the financial statement -- Income Statement from the income and expenses account records, Balance Sheet from everything and Cash Flow Statement from cash transactions. Watch out for the next post in this series. Reach me for any feedback or noticed an error. For those of us who, while growing up, read Shakespeare's Merchant of Venice and L'Avare (The Miser) by Moliere, you will have grown up with the mentality that being frugal is very bad. You will have the word "miser" and "stingy" in your working vocabulary. Well, today, I am going to give you a shocker. Being fugal is now cool. In fact, it has become a movement and is now heavily hyped/recommended. To reflect its coolness, it has been given a new name -- "Minimalist". 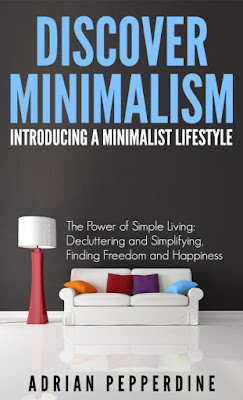 There are now books like "Less Is More: How To Live With Less Stuff For Greater Health And Happiness" and "Discover Minimalism"
What is my personal opinion? 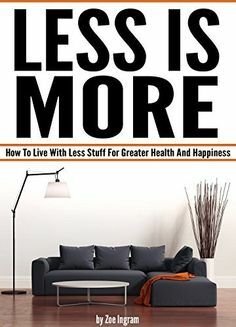 I think having less stuff in one's life is very good. And for someone like me who has problem juggling many non-tech tasks, I find that I end up wearing same set of clothes and shoes that represent less than 1/3rd of all the clothes and shoes I have. I often forget that I have some things. I just use what I see around all the time, whatever is not within my immediate view gets neglected. So what I now do is simply buy very few very high quality things and use the heaven out of them. Then replace. Saves me money and brain space. I avoid having many of anything. And I have taken this now quite far. I no longer buy books I won't read or not sure I need. I don't accept gifts I don't need. I don't give attention to too many things. 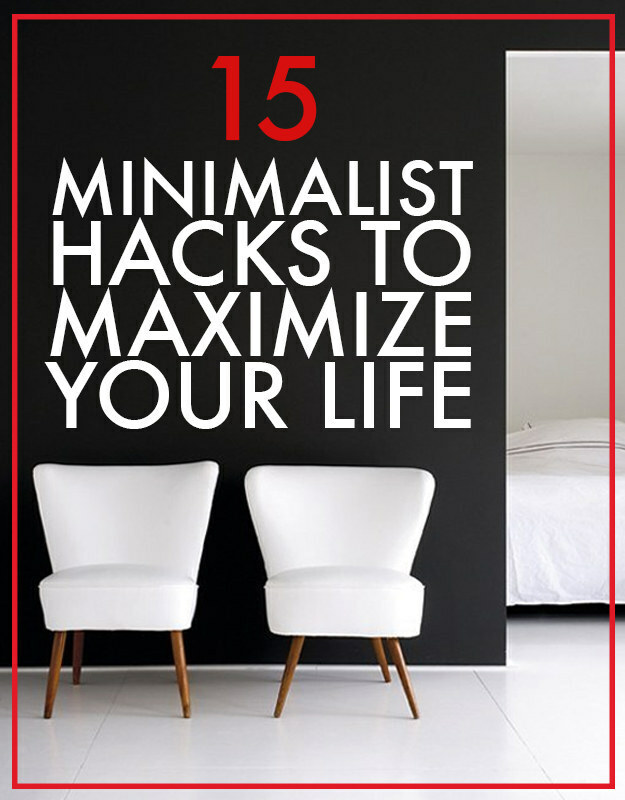 I am more deliberate and frugal in all I do now. 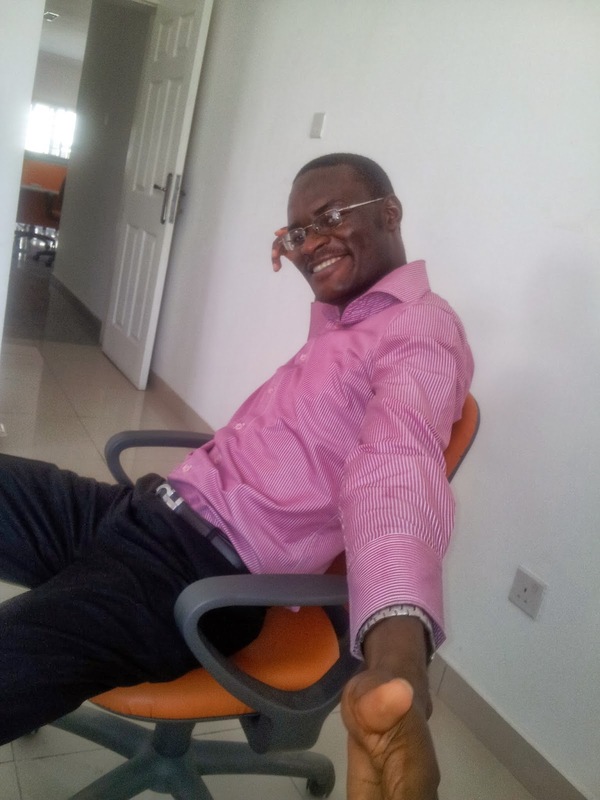 Thumbs up to Consolidated Media Associates (CMA)! Finally we get a music only radio station in Nigeria. This year they brought on air Soundcity 98.5 and Urban 96.5. But the one I am giving them thumbs up for is the Soundcity 98.5, powered by music. It is a music only radio station. I even love their catch phrase -- "We let the other stations do the talking." If you were on my blog about three years ago when I wrote about the weird things I do, you will notice the number 6 -- I don't listen to radio, the presenters are always interrupting at the wrong moments. And the reason is I find their talks IQ-lowering. And in another post, in 2014, I wrote about buying an FM transmitter on Alibaba, I mentioned that I someday plan to have a radio station that plays only music. Now I don't have to wait till I start that radio station. I no longer have to shuffle between dozens of radio station to avoid the annoying talks when driving. I even now look forward to enjoying good music in traffic, unlike before where I either shuffle between 6 to 8 radio stations in one hour or plug in my iPhone to stream Spotify music and TuneIn music. For once, I am seeing a truly valuable occurrence in our media space. Valuable for me. 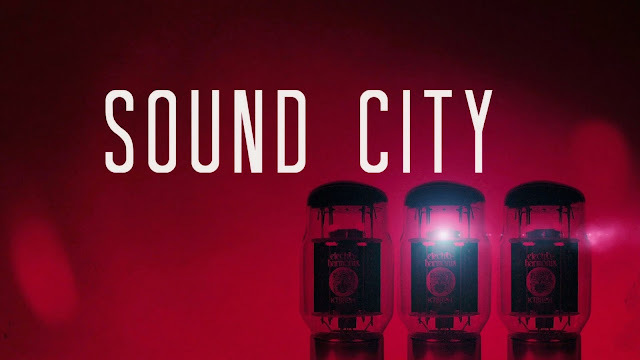 If you are anti-talk pro-music fellow like me, whenever you are in Lagos and want just music, tune in to Soundcity 98.5 FM. Next is to get CMA to pay for this advert. The past two days have been an unusual one for me. I suddenly caught a new fever: get a new laptop. And what precipitated the fever? Well, I came upon a forum post where people were commenting on what a programmer should have, computer-wise. Most of them said a very good laptop is a must have as one would be working mostly on the laptop and having a not very good laptop can be projected to many hours of productivity lost over the years. And you should have a laptop that enhances your productivity, not one that hinders it. Not a laptop you are battling to make work as needed. In my case, my laptop isn't bad but also not very good. It takes half an hour to boot due to the many demanding software I have on it. I run it like a server. I shut down maybe once or twice a month. I increased the RAM to 16GB from the 8GB that came with it. I bought it in February 2014 when I was preparing for my March 2014 resignation. I bought it for N147,000 at The Palms, Lekki. So most likely the actual market price then would have been N110,000. Nothing except Coke in select shops is normal price in The Palms. That comes to about $700 in US price. Most of the argument on the forum is that you shouldn't buy a laptop of less than $1500 for serious work as a programmer. All cheap laptops have terrible trackpad (mouse pad), poor screen resolution, unimpressive battery life and not durable. That is how the manufacturers can afford to sell it at less than 1/3rd the price of a MacBook of same configuration and still make a gain. In the end, you get what you pay for. If you are lucky, it is like having the engine of a Mercedes or BMW in a Kia Rio. That is what having 2.9 GHz, 8 GB RAM and all those other specs that catch our attention in those cheap laptops are. What endears you to a car is not (just) the engine, but a boat load of other things -- the smell, the interior decor, the quality design, the durability, the general way everything syncs together to give you a luxury feel. And that can be very valuable if you spend over 8 hours a working day in that car. No one will want to drive a danfo-like car for 8 hours a day and for many years, daily. And that is what it is like working with a crappy laptop, even if the spec is higher than your boss' N500,000 laptop. Now you can see how emotion crept into my want of a new laptop. I began to feel that I need something worthy of my many hours a day dedicated to work on PC. Some feel of luxury. Technically, the only thing wrong with my laptop is that it takes too long to boot and when I work on too many tasks, the speed slows down to a crawl. I thought it was due to RAM. So I doubled the RAM from 8GB to 16GB. There was a big jump in performance. But still takes eternity to boot and sometimes it freezes. So why? I digged around and traced the problem to having a hard disk drive (HDD), the usual one with a mechanical head that spins which all cheap laptops have. But instead of thinking of changing the HDD to Solid State Drive (SSD), I am obsessed with buying a new laptop. All the laptops that have the specs I want, which essentially is what my current laptop has but with an SSD and a Graphics Memory, are in the range of N500,000 down to N320,000. I decided to go for the N320,000. 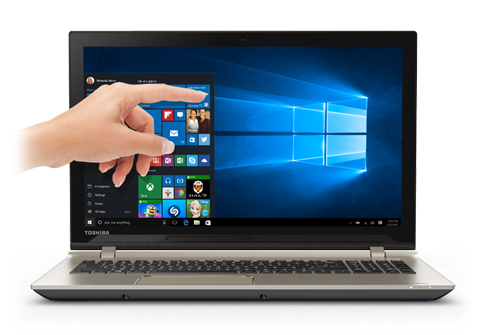 A Toshiba Satellite S55T C5327 laptop. It's got a good work friendly spec. Core i7 2.6 GHz. Windows 10 in-built. 16 GB RAM, 4GB Graphics Memory, 512 GB SSD, Ultra HD Display (the popular 4K screen resolution), TouchScreen and many other impressive specs. But for my work, it's just the SSD that is the only significant advantage it has over my current laptop. Same CPU speed, RAM and OS. 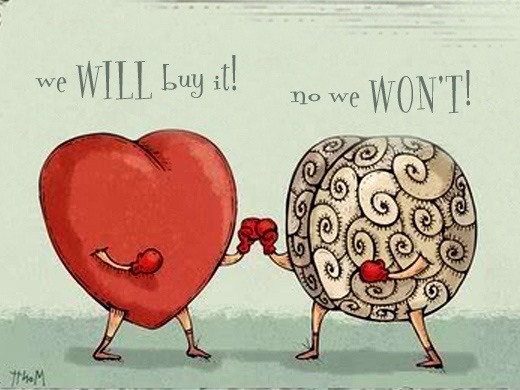 And that is the foundation of my logic vs emotion, heart over mind battle. And I notice similar issues happen in my many other decisions. From what restaurant to eat in to what expensive gadget to buy. The logic part has the strongest argument but the emotion part never lets go. I don't yet know which will win, but at this stage of the battle emotion is leading. Do you experience such mismatch between what you know is more logical to do and what you eventually do?